JERUSALEM - A senior U.S. official was expected to continue voicing American concerns over the prospect of an Israeli attack on Iran during a visit to Jerusalem on Monday, as worry over the Islamic Republic's nuclear program mounts. CBS Radio News correspondent Robert Berger says U.S. National Security Adviser Tom Donilon brought what media reports describe as a clear message to Israeli leaders: Don't attack Iran. But Israel isn't making any promises, adds Berger. "We should remember that Israel and the U.S. are independent countries," said Israeli Cabinet Minister Daniel Hershkowitz. The U.S. wants to give sanctions on Iran more time, but Israel says time is running out. "If we do not stop Iran now, later on it will be impossible," warned Israel's Deputy Foreign Minister Danny Ayalon. Donilon's arrival was the latest in a series of high-level meetings between Israel and the U.S. - all of which seem to follow the theme of Washington urging Jerusalem to hold fire. Donilon was set to meet with Netanyahu late Sunday, and with Israeli Defense Minister Ehud Barak on Monday before leaving. Meanwhile, The New York Times reported Monday that U.S. military intelligence officials have their doubts over Israel's ability to effectively target Iranian nuclear sites with air strikes. "All the pundits who talk about 'Oh, yeah, bomb Iran,' it ain't going to be that easy," Lt. Gen. David A. Deptula, who planned the American Afghan and Gulf War air campaigns, told the Times. 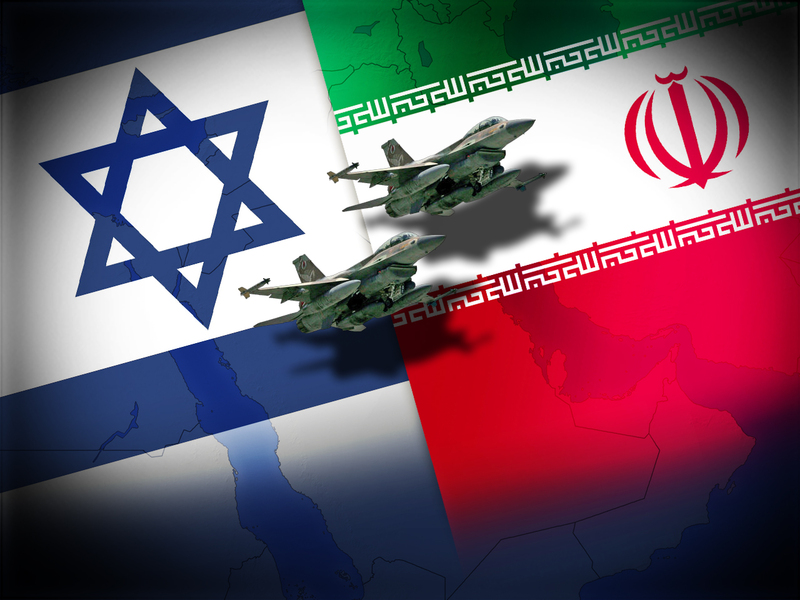 Other American defense officials say an Israeli attack meant to set back Iran's nuclear program would be huge and highly complex. The Times article suggests that an effective attack on Iran would require as many as 100 aircraft attacking at least four underground sites simultaneously, and they would have to refuel in midair to make the roundtrip. Defense analysts fear the U.S. would be sucked into finishing the job - a task that the Times suggests would take weeks - and warn that an Israeli attack could spark Iranian retaliation against U.S. forces in the Persian Gulf. "That's the question with which we all wrestle. And the reason that we think that it's not prudent at this point to decide to attack Iran," the chairman of the U.S. joint chiefs of staff, Gen. Martin Dempsey, told CNN Sunday. Dempsey said Israel has the capability to strike Iran and delay the Iranians "probably for a couple of years. But some of the targets are probably beyond their reach." Describing Iran as a "rational actor," Dempsey said he believed that the international sanctions on Iran are beginning to have an effect. "For that reason, I think, that we think the current path we're on is the most prudent path at this point." British Foreign Secretary William Hague also released a statement Sunday saying an Israeli attack on Iran would not be "a wise thing" and would have grave consequences for the entire region. Both Dempsey and Hague urged Israel to give international sanctions against Tehran more time to work. It was not known whether their messages were coordinated. Asked whether he believed Israel could be deterred from striking, Dempsey said: "I'm confident that they understand our concerns, that a strike at this time would be destabilizing and wouldn't achieve their long-term objectives. But, I mean, I also understand that Israel has national interests that are unique to them." Hague delivered a similar message in Britain. Speaking to the BBC, he said Britain was focused on pressuring Iran through diplomatic means. "I don't think a wise thing at this moment is for Israel to launch a military attack on Iran," he said. "I think Israel like everyone else in the world should be giving a real chance to the approach we have adopted on very serious economic sanctions and economic pressure and the readiness to negotiate with Iran." Both Israel and the West believe Iran is trying to develop a nuclear bomb  a charge Tehran denies. But differences have emerged in how to respond to the perceived threat. The U.S. and the European Union have both imposed harsh new sanctions targeting Iran's oil sector, the lifeline of the Iranian economy. With the sanctions just beginning to bite, they have expressed optimism that Iran can be persuaded to curb its nuclear ambitions. On Sunday, Iran's Oil Ministry said it has halted oil shipments to Britain and France in an apparent pre-emptive blow against the European Union. The semiofficial Mehr news agency said the National Iranian Oil Company has sent letters to some European refineries with an ultimatum to either sign long-term contracts of two to five years or be cut off. The 27-nation EU accounts for about 18 percent of Iran's oil exports. Israel has welcomed the sanctions. But it has pointedly refused to rule out military action and in recent weeks sent signals that its patience is running thin. Israel believes a nuclear-armed Iran would be a threat to its very existence, citing Iran's support for Arab militant groups, its sophisticated arsenal of missiles capable of reaching Israel and its leaders' calls for the destruction of the Jewish state. Last week, Israel accused Iran of being behind a string of attempted attacks on Israeli diplomats in India, Georgia and Thailand. There is precedent for Israeli action. In 1981, the Israeli air force destroyed an unfinished Iraqi nuclear reactor. And in 2007, Israeli warplanes are believed to have destroyed a target that foreign experts think was an unfinished nuclear reactor in Syria. Experts, however, have questioned how much an Israeli operation would accomplish. With Iran's nuclear installations scattered and buried deep underground, it is believed that an Iranian strike would set back, but not destroy, Iran's nuclear program. There are also concerns Iran could fire missiles at Israel, get its local proxies Hezbollah and Hamas to launch rockets into the Jewish state, and cause global oil prices to spike by striking targets in the Gulf. In a sign that the diplomatic pressure might be working, Iran's foreign minister said Sunday that a new round of talks with six world powers on the nuclear program will be held in Istanbul, Turkey. Ali Akbar Salehi didn't give any timing for the talks. The last round of talks between Iran and the five permanent members of the U.N. Security Council plus Germany were held in Istanbul in January 2011 but ended in failure.